Alliance of Doctors for Ethical Healthcare (ADEH), a national body of medics working to promote ethical practice, has criticized NITI Aayog's recently released draft bill and report on the National Medical Commission. These documents outline the regulatory framework being proposed by the think-tank to replace the existing Medical Council of India (MCI). "NITI Aayog's report and bill are a huge disappointment and have dashed the hopes that medical corruption linked with gross commercialization of medical education would be checked effectively. In fact, the think-tank is backing even more accelerated privatization and commercialization related to medical education in the country," said medical practitioner M R Mirajkar of ADEH. The doctors underlined that the process adopted by the NITI Aayog to draft these key documents appears to be minimally consultative. Health sector civil society networks and various doctors' organizations working on the issues of medical ethics since decades, were not invited or involved, nor were their inputs addressed. "Protection of patients and an embargo on widespread unethical practices is not prioritized in the report and bill, and the related provisions remain very weak," Mirajkar said. Another medical practitioner Sanjay Nagral of ADEH said, "The report states there should be no ceiling or regulation of fees in private medical colleges for the majority of students (Section 3.8 of report). This would lead to legalization of astronomical sums being charged by private medical colleges in modified form." "It is proposed that 'for-profit entities' including businesses and corporations will be officially allowed to open and run medical colleges (Sec. 3.9 of report), thus legitimizing and legalizing profiteering in medical education," Nagral said. Medical practitioner and health activist Abhijit More pointed out that the report advocates that district hospitals could now be used by private players for running medical colleges (Sec 2.3.3 of report). "Handing over the key public health resources to business interests, is highly questionable," More said. According to the NITI Aayog bill, all members with medical background would be nominated by the government, there being no place for elected representatives from the medical profession. "The entire set of documents from NITI Aayog makes no mention of the need to reform state medical councils," said medical practitioner Sanjay Shivade of the ADEH.Pune: Alliance of Doctors for Ethical Healthcare (ADEH), a national network of doctors committed to promoting ethical practise has criticised NITI Aayog's recently released draft bill and report on 'National Medical Commission'. These documents outline the regulatory framework being proposed by NITI Aayog, to replace the existing Medical Council of India (MCI). "Overall the report and bill proposed by NITI Aayog are a huge disappointment and have dashed hopes that medical corruption, linked with gross commercialization of medical education, would be checked effectively. In fact, the NITI Aayog is championing even more accelerated privatization and commercialization related to medical education in India," said medical practitioner M R Mirajkar of ADEH. The doctors underline that the process adopted by NITI Aayog for drafting these key documents appears to have been minimally consultative, since health sector civil society networks and organizations of doctors working on issues of medical ethics, even since decades, were not invited or involved, nor were their inputs addressed. "Overall, protection of patients and need for strong clampdown on widespread unethical practices is clearly not a priority in the report and bill, and the related provisions remain very weak," Mirajkar said. Sharing the view, another medical practitioner Sanjay Nagral of ADEH said, "The report states that there should be no ceiling or regulation of fees in private medical colleges for the majority of students (Sec. 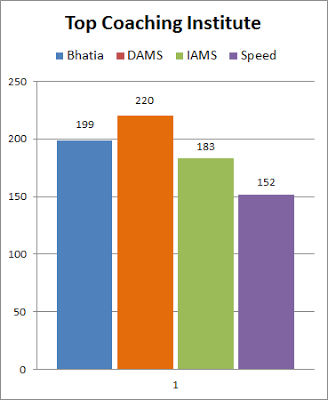 3.8 of report). This would lead to legalization of astronomical sums being charged by many private medical colleges in modified form." "It is proposed that now 'for profit entities' including businesses and corporations would be officially allowed to open and run medical colleges (Sec. 3.9 of report), thus legitimizing and legalizing profiteering in medical education," Nagral said. Medical practitioner and health activist Abhijit More points out that the report effectively advocates that district hospitals may now be used by private players for running medical colleges (Sec 2.3.3 of report). "This will be a highly questionable step of handing over key public health resources to business interests," More said. According to the NITI Aayog bill, all members with medical background would be nominated by the Government, and there is no space for elected representatives from the medical profession. 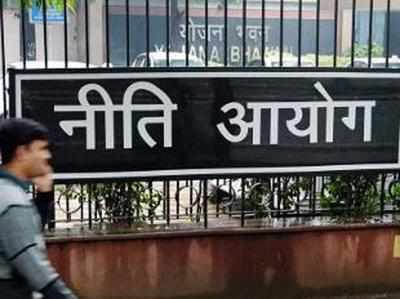 "The entire set of documents from NITI Aayog makes no mention of the need to reform State medical councils," said medical practitioner Sanjay Shivade of the ADEH.